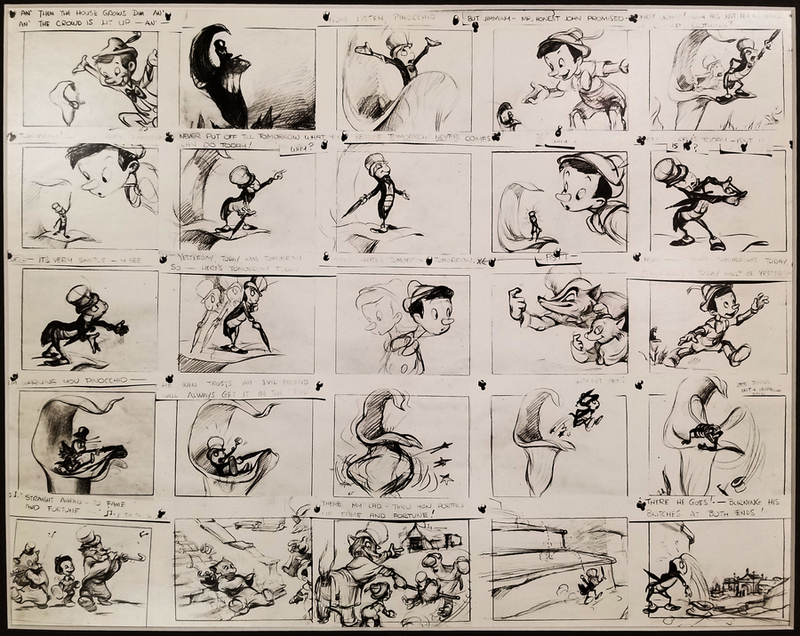 10.5" x 13.5",10.5" x 11.5"
This is a pair of original photostat storyboard sheets from the Walt Disney Studios production Pinocchio (1940). 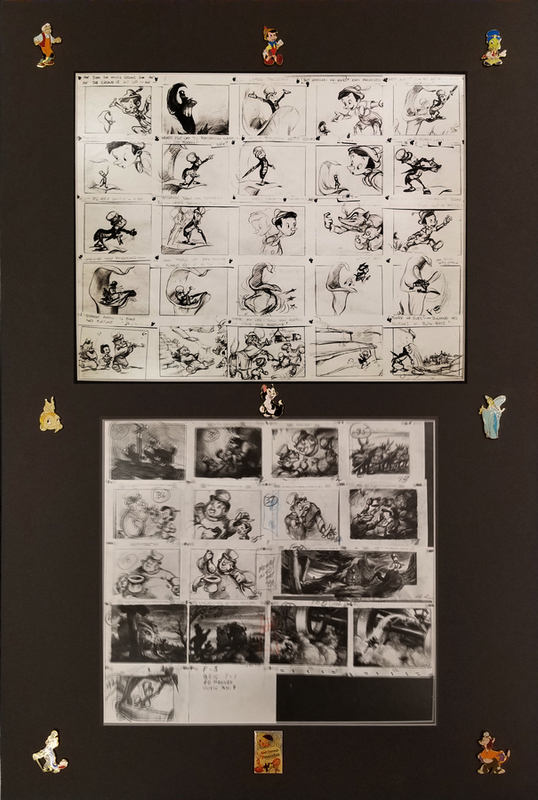 This set of photostat storyboards features great imagery of Pinocchio's interactions with Jiminy, The Coachman, Foulfellow, and Gideon. 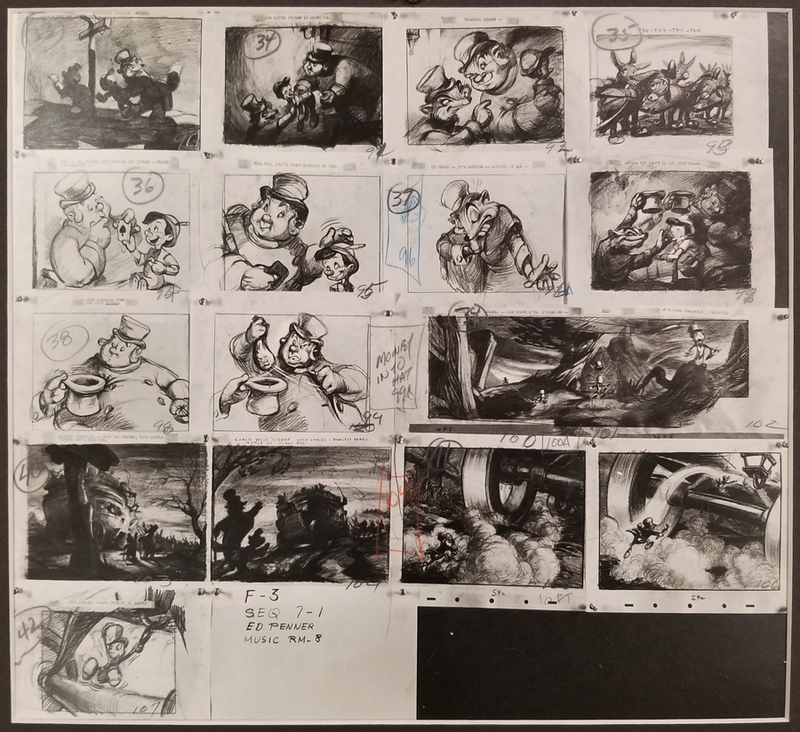 They were created at the studio and used during production as reference for the animators to create layouts of each scene. The overall measurements of the piece are 28" x 19" matted with the mat openings measuring 10.5" x 13.5" and 10.5" x 11.5". The photostats are in very good condition and are mounted to the mat board which also has a collection of Pinocchio enamel pins.